I am always trying out different types of food on my runs. I particularly want to mix it up for my really long ones. Sometimes eating the same thing for over 6 hours irritates my stomach. My longest run was 10 hours long, but they have been getting long and longer over they last few years and I am thinking Leadville 100 will be even longer. 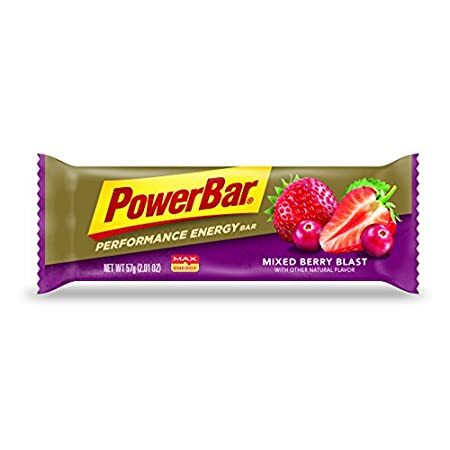 So I honestly, have not eaten a PowerBar Fruit Smoothie on any of my training runs yet and I don’t think I will. I have tried both berry blast and citrus; they both taste great! They kind of remind me of Laffy Taffy. My issue with them is that they take way too long to eat. I chewed and chewed and chewed and then chewed some more. It just took way too long to eat the entire bar. AND I was driving my car, imagine running. Now, as a pre-race or pre-training snack, I can definitely see it and recommend it. Everyone has different tastes and methods, but during a race or a training run – two thumbs down.